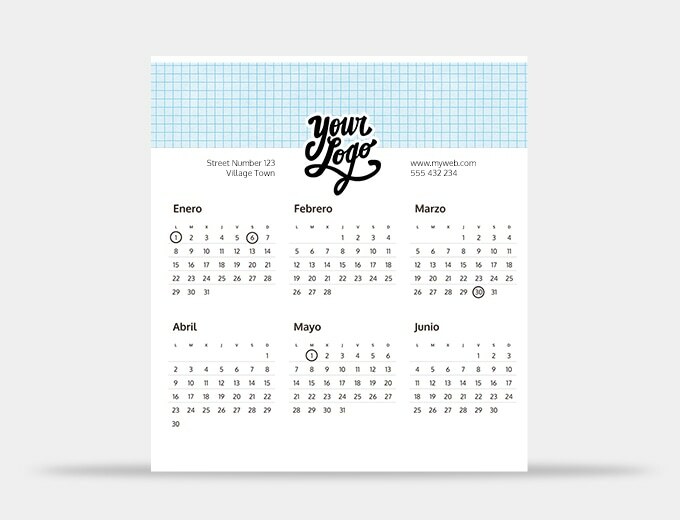 £2.24 per unit for orders over 25 units. 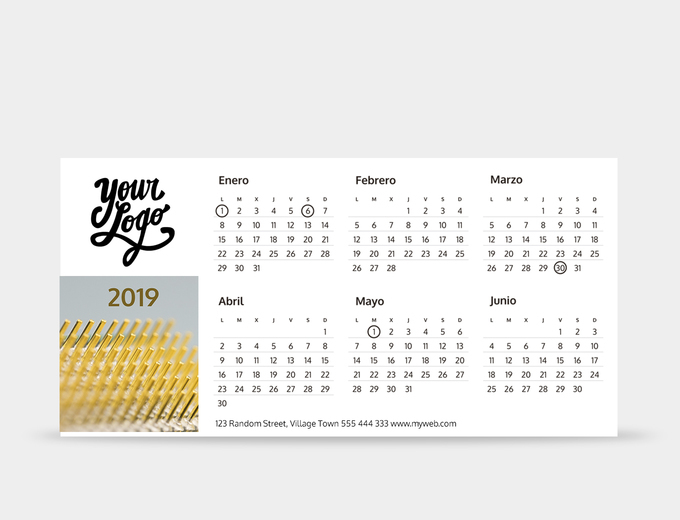 (without VAT). Discounts for large orders. 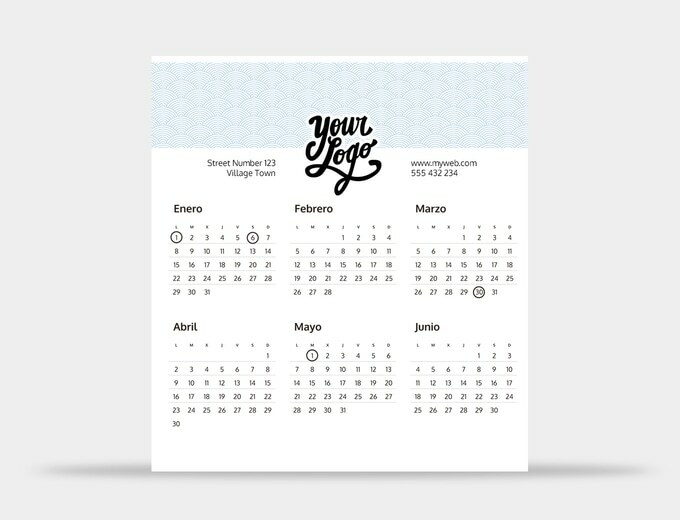 You'll be able to see the size for each corresponding template. 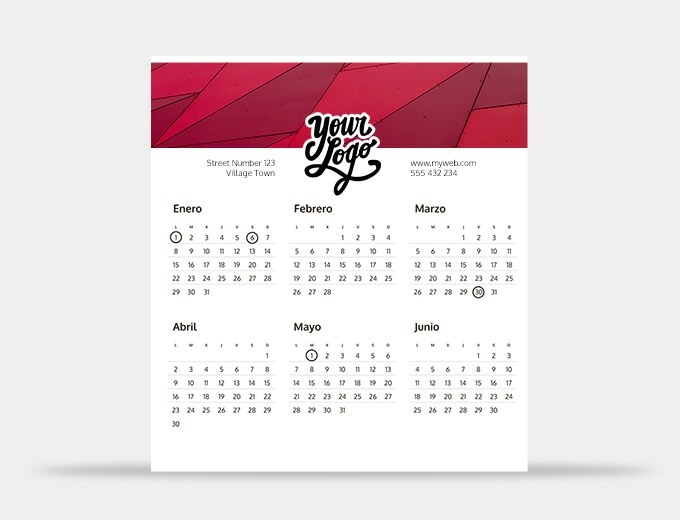 As customizable elements, you can include your logo and contact details (for example, your address, telephone number and email). 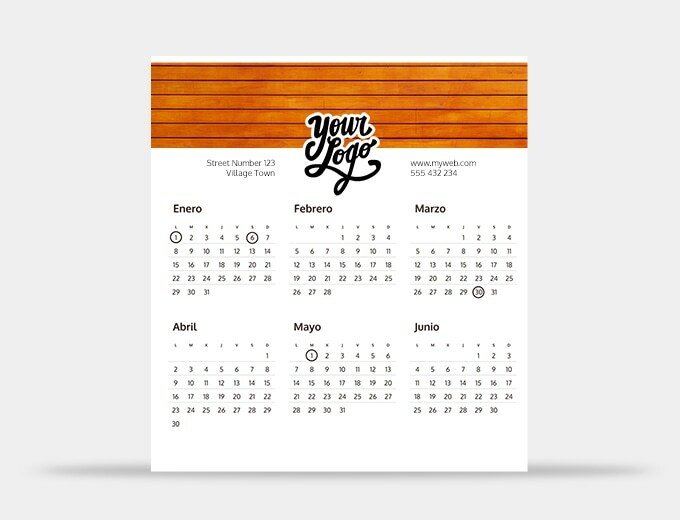 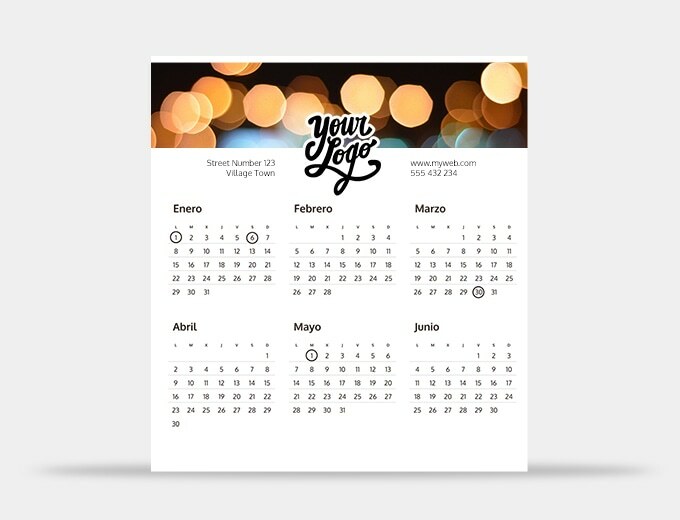 Just as many shoppers look for a good personalised wall calendar with photos, personalised calendars are perfect for company promos or advertising campaigns and are one of the most popular items at the end and the start of the year. 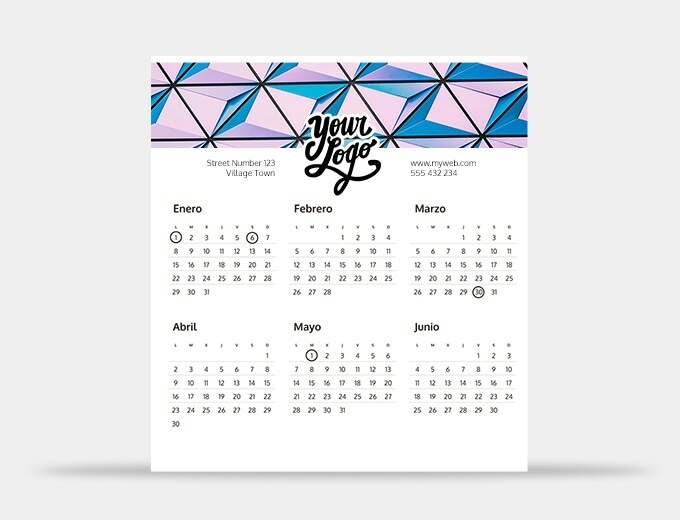 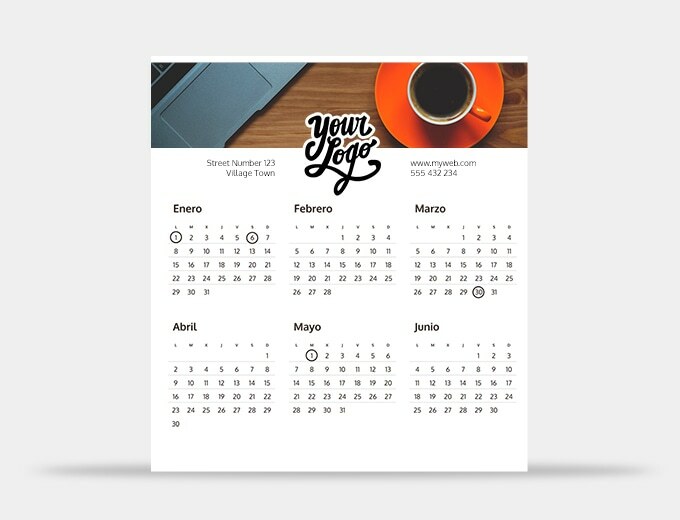 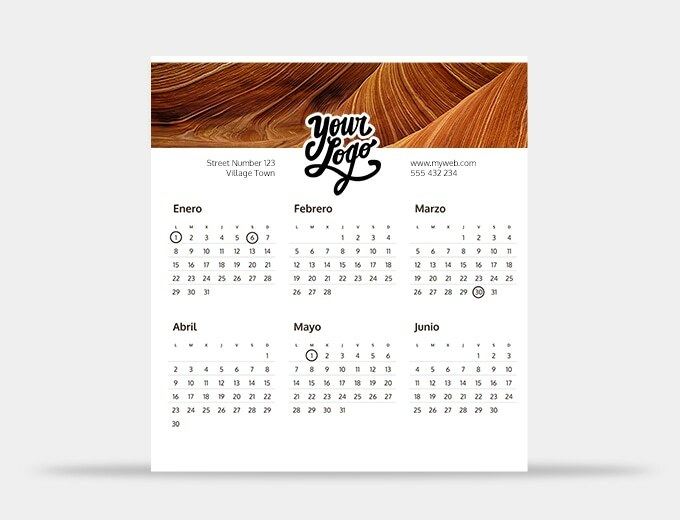 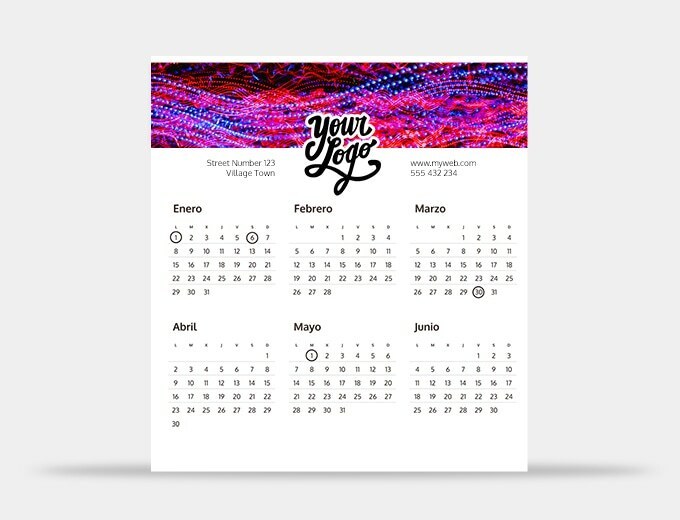 With Camaloon's online design tool you can easily create and buy personalised print tent calendars: choose from many templates and adapt the design to your company's image. 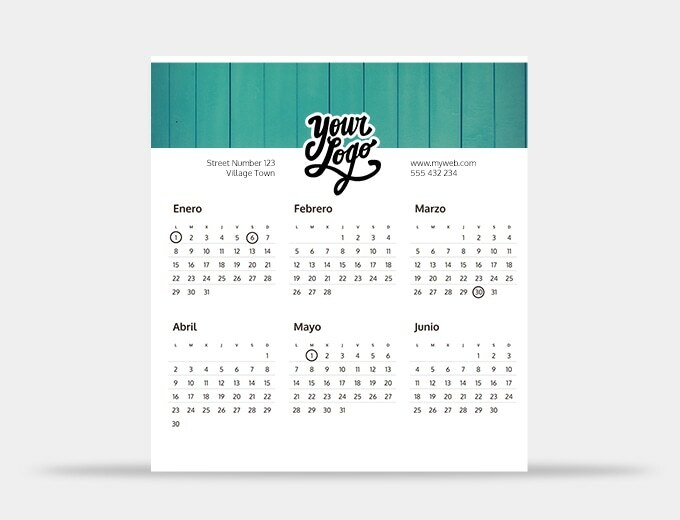 Besides adding your logo, you can also include your company's contact details. Personalised desk calendars let you boost your company's image and professionally and effectively promote brand recall. 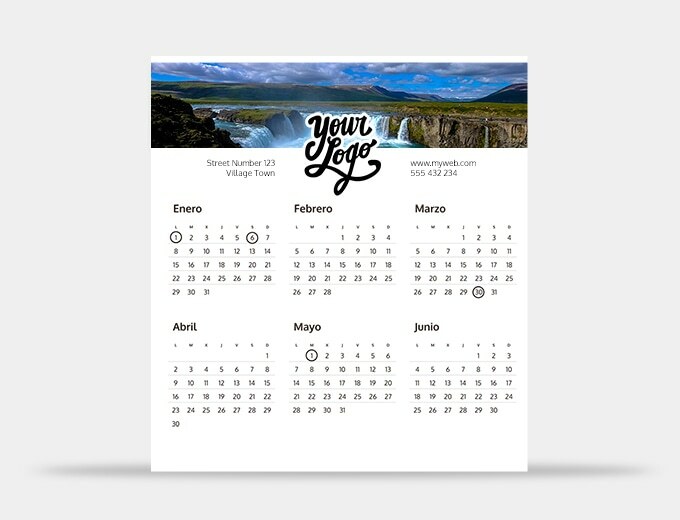 At Camaloon, we're printing experts and we use quality materials and printing techniques to ensure that your personalised print tent calendars or spiral-bound desktop calendars withstand daily use and your image is as clear as on day one. 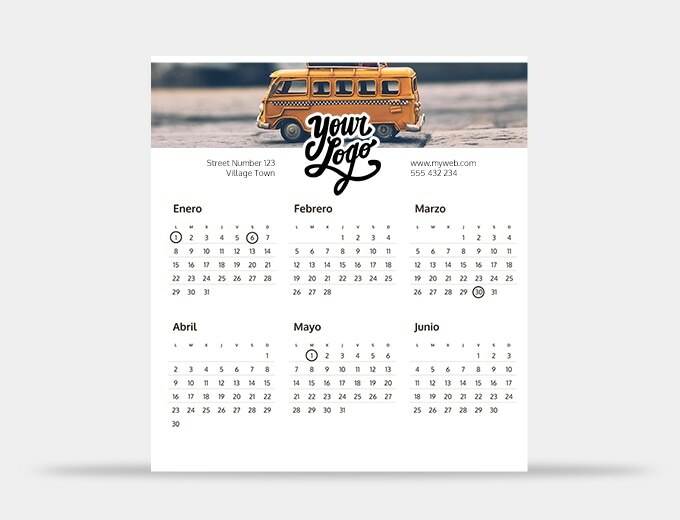 Place an order for over 50 personalised print tent calendars. 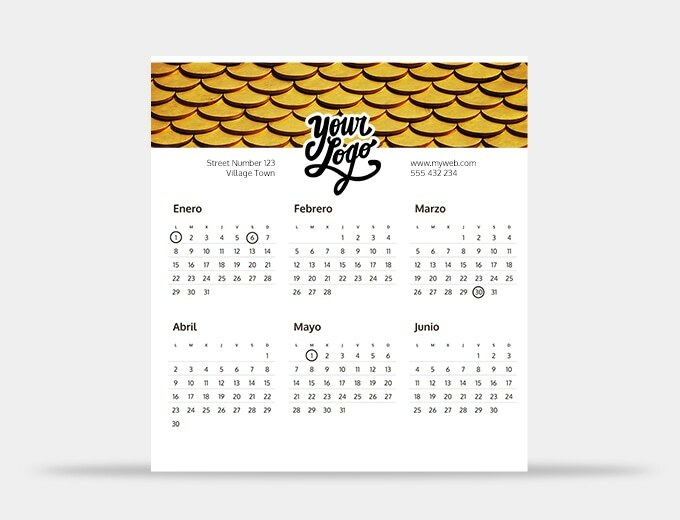 We have special prices for large orders for either of the two sizes and personalised calendar formats for companies.